Start A Blog The Basic Steps - CarseNoodle :: A Blog About Blogging And Earning Money Online. If you are thinking about blogging and trying to follow the best methods to do it, then you are at the right place. Blogging is not a hard thing to do right now. Thanks to the advancement of technology and service providers that you can now create a blog without any technical knowledge. Blogging is easy, Successful blogging is not. Choose the Topic or Niche. The first step you should follow in the long run of blogging field is choosing a topic or niche. The niche or topic of the blog is the area on which you are going to write your articles or blog posts. It could be anything from your personal life to how to train a lion to eat grass. Imagine a topic or niche and you would see that already many blogs in the niche already exist. Hence, this is not about finding a topic that nobody is blogging. It's all about finding the topic by using which you can make your blog popular. Many bloggers fail after few steps on their blogging journey because they took the wrong topic or niche. Choosing the right topic is very important if you want to blog for the long run. Also Read: How to Choose a Niche or Topic for Blogging. Choose the Domain Name and Buy it. Domain name is the address or name of your blog. visitors have to place your domain name on their browser URL feed to visit your blog. Choosing a good domain name is as important as choosing the topic. Your domain name should relate to your niche and easy to remember. Nobody would love to visit a site by typing a domain name that they hardly remember. Taking a short name with the relevant keyword is great for this. Try to use a name that people find easy to understand and can remember without much effort. Also Read: How to Choose a Domain Name for New Blog. Hosting is saving your contents in a place online from where it can be served in the browser of a visitor. And, hosting providers offer the place to save your data. Some offer free service with limitations and others give you service for some money without any limitations. While it comes to choose the hosting service provider. You have two choices. You can choose a free hosting service available a lot on the web with some limitations. Or else you can try paid hosting without many limitations. Also Read : How to Choose a Blogging Platform. After you are clear about the niche, bought a domain name and had chosen a hosting service, it's time to design the blog. Designing means organizing the features of the site, how the site should look like. Designing needs some programming concepts. But thanks to the templates available, by using them we can set up our blog without any effort. The designing plays an essential role in getting returning traffic to your blog. If people noticed that your site is not organized in a proper manner. Or, Your site is not responsive to their browser and they find difficulty navigating it. Then it is a minus point for your site's popularity. You must choose or design a clean and responsive template for your blog. Also, focus on the navigation. Keep it easy to find the things visitor is searching. Don't force them to visit pages they don't have interest. Also Read : How to Design a Blog. All the above steps are done. Now the time to publish some content on your blog. Write articles that you are planning to blog about and publish it on your new blog. Your blog is online now. Also Read : Things you Should know before publishing your Blog. I said at the beginning of the post, There is a huge list of blogs in every niche. Thus, you have to provide something unique to get the attention of all of them. Try posting quality content that only you can provide no other can. Don't copy paste articles, it causes negative impressions on your blog as it is new in the field. 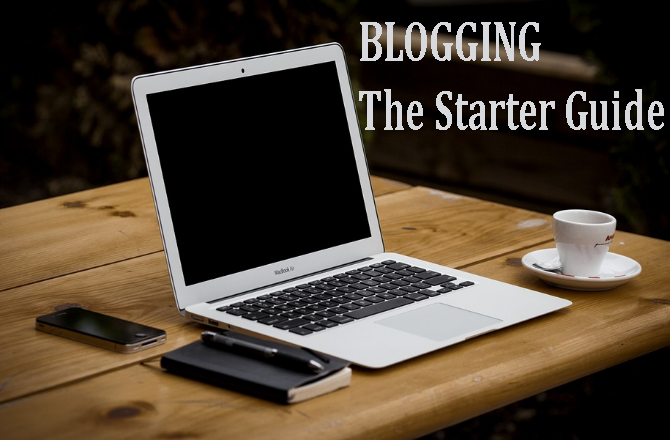 Above are the basic steps to start a blog. But for the survival of a blog you need visitor. There no such good place to find visitor as from the search engines. Search engine visitors are organic and they are the most interested visitors to your niche. So, your goal should acquire the huge search engine traffic. To do this, you need proper SEO (Search Engine Optimisation). Once your blog listed on the 1st page of the search engine you don't need to work hard to drive traffic to your site.